South Carolina Senator Lindsey Graham expressed his disgust with the current state of the GOP presidential race ‒ which he’s dropped out of ‒ saying that the party has gone “batsh** crazy” by jeopardizing its chances of beating Hillary Clinton. The noted hawk, who was in the running until December, skewered what remained of the Republican presidential field on Thursday at an annual Congressional dinner sponsored by the Washington Press Club Foundation. Graham lamented that fact that insurgent businessman Donald Trump is currently leading the Republican race by a wide margin, warning that his nomination could ruin the election for the GOP by giving Hillary Clinton a good shot. 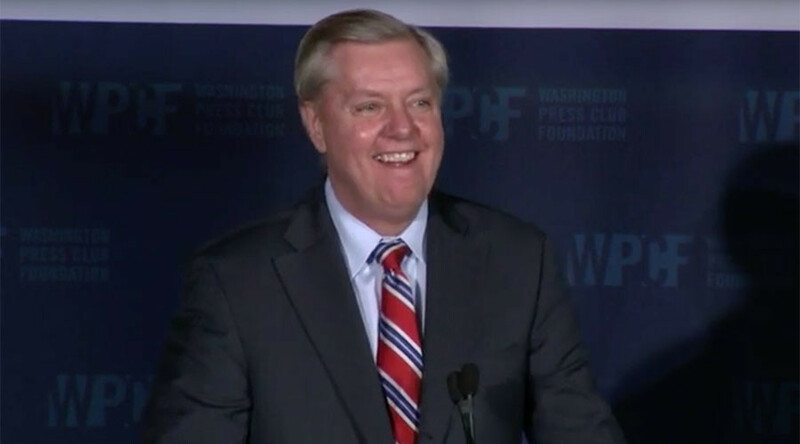 Graham took a stab at Ted Cruz for being unpopular with his fellow senators, even Republicans. “If you kill Ted Cruz on the floor of the Senate, and the trial was in the Senate, nobody could convict you,” Graham joked. Other candidates received jabs from the South Carolina senator as well. Graham said neurosurgeon Ben Carson is the nice guy of the GOP race. Marco Rubio, who made a gaffe in 2013 by awkwardly taking a sip from a water bottle during his State of the Union Response, was not spared from Graham’s scrutiny either. “I’m not saying he would change his positions, but he would change his positions. The Secret Service’s main job if he’s president is to keep him hydrated,” Graham said. Graham wrapped up the night on a serious note, echoing the establishment position painting Trump as dangerous. “I don’t know how I can best describe Donald Trump but I can say this; I don’t think he understands what makes America great. I know I’m supposed to be funny. 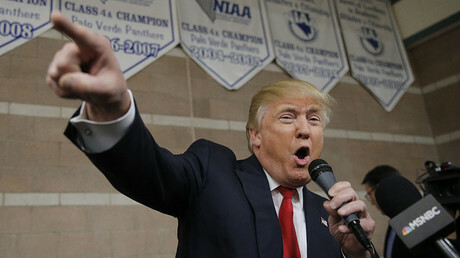 I’m not really happy about where the country is right now,” he said. Graham declared himself the Dr. Jack Kevorkian of the presidential contest, noting that he had dropped out of the race and endorsed Jeb Bush – who subsequently dropped out as well.